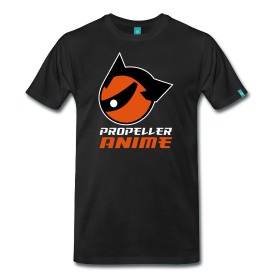 Propeller Anime: Lots of News! Anime Weekend Atlanta, Donation Drive Updates, Anniversary Party, Anime Nite Orlando & More! 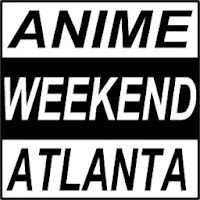 This weekend is the biggest and best anime convention in the south east: Anime Weekend Atlanta! 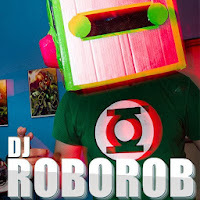 They have a fantastic guest list featuring the likes of Toshio Furukawa, Mitsuo Iwata, Chris Sabat, the infamous Chris "moot" Poole, and a strong representation from the anime industry. The schedule is most excellent, with great things to do all weekend long! Once again, we are happy and honored to be a part of AWA's prestigious schedule, with "The Brutal Kings of MMA Manga" on Friday at 5:30pm and "It's MANIME! The Manly Anime Panel!" Saturday at 9:30pm! 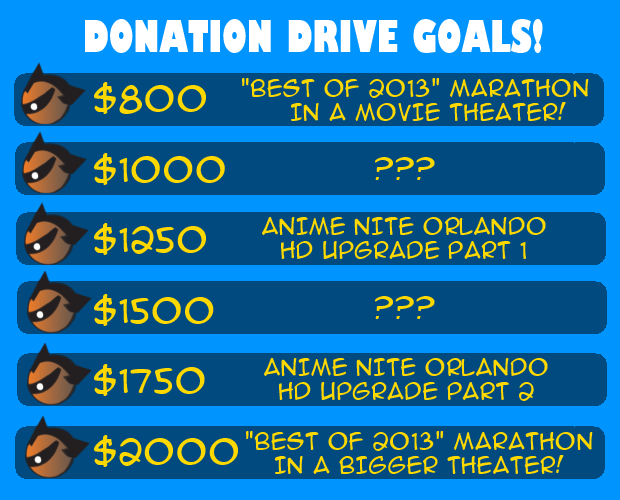 We just made it past $100 in donations for our crowdfund campaign to do awesome things like show anime in a movie theater for our "Best of 2013" event! What a great first step! This is a big event we've wanted to do for a while and it comes with a high price tag. However, if we all chip in a little, we can make this happen. Plus, we have a lot of really cool rewards for helping out! Anime conventions and other groups may be interested to know that we have added a reward tier called "Bizarre Adventure." If you donate at least $25, we'll put your name and whatever it is you are promoting in a "Thank You" video that will be shown several times during the "Best of 2013" event and will be available on YouTube! 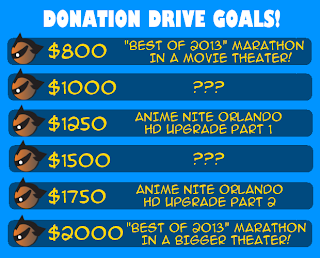 If you want anime to be showcased in a big way, then please make sure you donate! 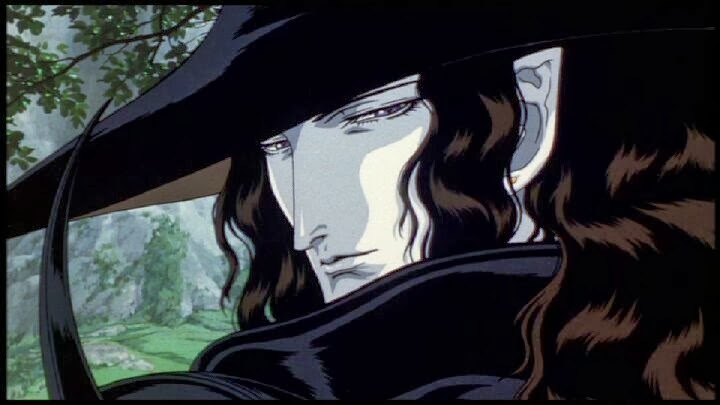 This week, we'll be announcing the details of our next Anime Nite Orlando, which will be Thursday, October 10th at Bikkuri Lounge. 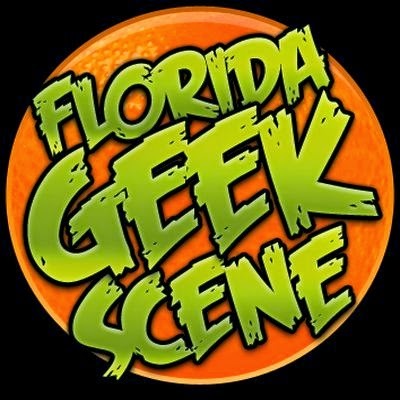 Since October is Halloween all month long in Orlando, we are going with a horror theme once again! Last year, we showed Vampire Hunter D: Bloodlust as our main feature. We haven't decided what we will be showing yet or what will be voted on, but we're open to suggestions! Did you know we have a podcast? 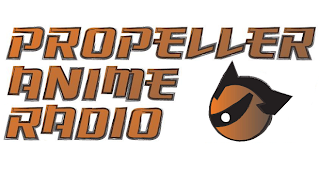 We do and there are seven episodes up for your listening pleasure! Our latest episode discussed Hayao Miyazaki's retirement, the recent survey corps arc of Attack on Titan, and AFO! Look forward to a new episode early October! That's it now! Definitely stay tuned for a lot of updates over the next month!